Writing for The Sun today, Ms Rudd dubbed knife crime “a scourge on our society”. Last year, selling zombie knives and possessing them in public was made illegal. The proposals come after police called for more powers to tackle spiralling incidences on knife crime, despite earlier crackdowns such as longer jail terms. More than 32,000 knife offences took place last year in Britain – a 14% increase from 2015. A scourge on the society, or a recognition of God-given rights for self defense. But citizens there are subjects of the queen, and have no rights. So the government is preparing, planning for, and even as we speak, actively engaging in the destruction of the culture and society with immigration and removal of means of self defense, even at home. Remember my British readers. Jesus quite literally was commanding His disciples to become criminals when He ordered them to obtain swords. Such things were illegal in Roman-occupied Israel at the time. Do the same. Jesus says so. 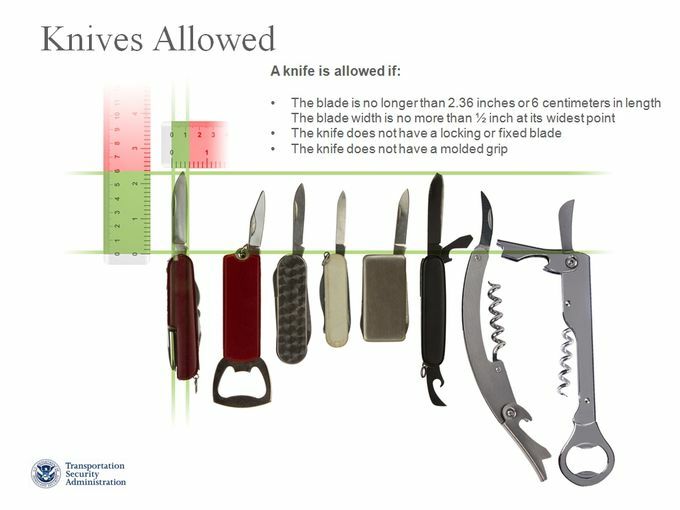 USA Today: The TSA is set to allow “knives” on board airplanes. 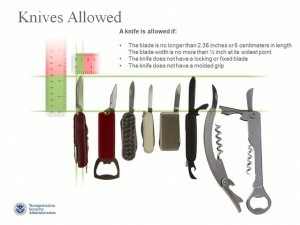 Then the “knives” are worthless and there is no need to carry one anyway. I have had my eyes on a knife at the MCX (Marine Corps Exchange) at Camp Lejeune for a while, and Sunday it was purchased for me. 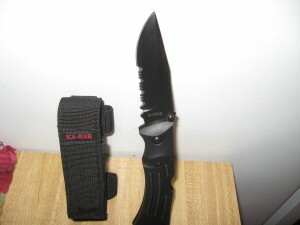 This is considered by Ka-Bar to be a utility knife (at least, it is included under the rubric “utility” on their web site). But I must admit that in a long history of ownership of knives I have never held such a solid, hefty knife with such close machining precision in the action. It has a stainless steel blade with a partially serrated edge, and it is extremely sharp. Its folder is heavy enough that it has the feel of something special – something different than the simple camping and hiking knife. It has a no-slip grip. The sheath shows that Ka-Bar knows that this is more than a utility knife. It holds the knife tight and has a belt loop or two loops for molle strap attachment to a tactical vest, vertical or horizontal orientation with Velcro and snap closure. This would be a good gift for a Soldier or Marine deploying to Iraq or Afghanistan. Ka-Bar has their own description. They call it the Mule Folder, Serrated Edge. I’m not saying anything about the price at the MCX compared to commercial price.